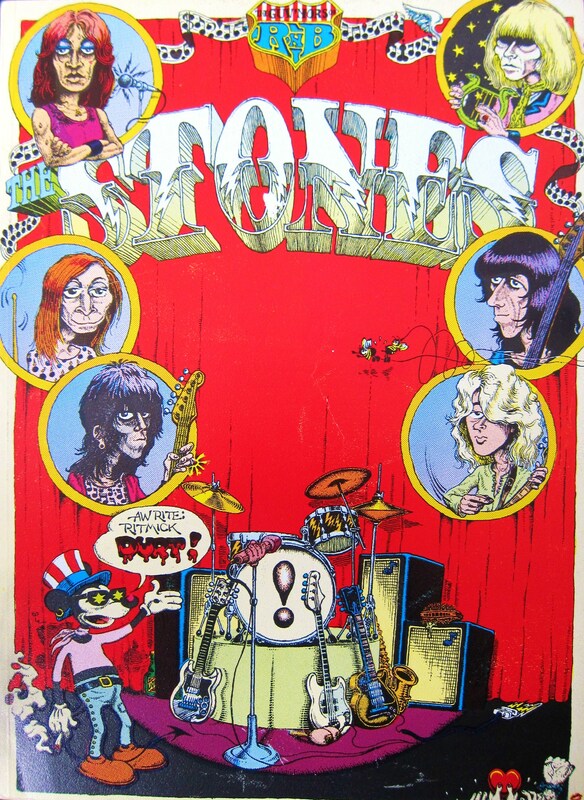 Home › Rock Music › The Top Ten Best Rolling Stones Books…ever! The Top Ten Best Rolling Stones Books…ever! The Rolling Stones pretended they wouldn’t be touring in 2012 to celebrate their 50th anniversary, and Keith claimed that as Charlie didn’t join the band until 1963, he had a decent get-out clause to postpone the festivities until next year. So whilst we waited patiently for The Stones to get their act together, there were plenty of books about them to pass the time? 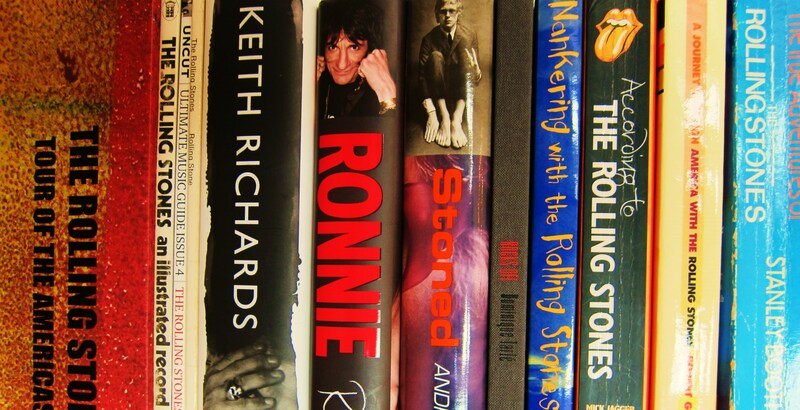 There are probably more Rolling Stones books out there than Keith Richards has had hot dinners. Well – cold turkey, perhaps. At about the time of the Italia ’90 World Cup, I saw The Stones at Wembley Stadium for the first time. A rag tag band of hard drinkers, drug takers, womanisers and gamblers had made the transition over relatively few years from tiny, uninterested crowds to filling football stadiums across Europe. But that’s enough about the England football team. The Stones actually played one of their Wembley gigs the night England were beaten by Germany on penalties. Cheers or resigned sighs broke out sporadically as news spread from those who had brought their transistor radios with them. As strange as it may sound, I was only familiar with half their songs in 1990. A damning indictment of the UK media’s ambivalence towards rock music is that the first time I heard Paint It, Black was when I was twenty years old. Knowing which of the many books about The Stones are worth picking up and which have the searing literary insight of a year-old copy of OK! Magazine left in a dentist’s waiting room is tough even with Wikipedia, Google, an active Amazon account and a seventy-word-a-minute typing ability. So to save you the trouble (well – I’ve done all the work now – shame to let it go to waste) here is my definitive list of classic Stones literature. And when I say definitive, I mean not quite definitive. On my “Yet to Read” pile is Wyman’s biography (not great I hear), Philip Norman’s “The Stones” and “Under Their Thumb” by Bill German (better, apparently) but I can’t include books I haven’t read, so if I have missed a good one, then do let me know…(I haven’t heard of a decent Jagger bio, for example). The True Adventures of The Rolling Stones by Stanley Booth: Finally back in print – see previous post for a more detailed look at this classic tale of excess. Nankering with The Stones by James Phelge: A first hand account of the Stones in 1963 as they share a grotty bedsit with the author. An authentic look at a struggling rock band in the sixties…whatever became of them…? Stoned/2Stoned: Andrew Loog Oldham blagged a job as London publicist for The Beatles and subsequently went on to manage The Rolling Stones for the early part of their career. He inspired Jagger and Richards to write songs by grabbing Lennon and McCartney off the street and showing them how it was done. The Stones’ first Top-20 hit single “I Wanna Be Your Man” was the result and the rest is history. The books are gossipy and offer a superb and first hand account of London’s swinging sixties. 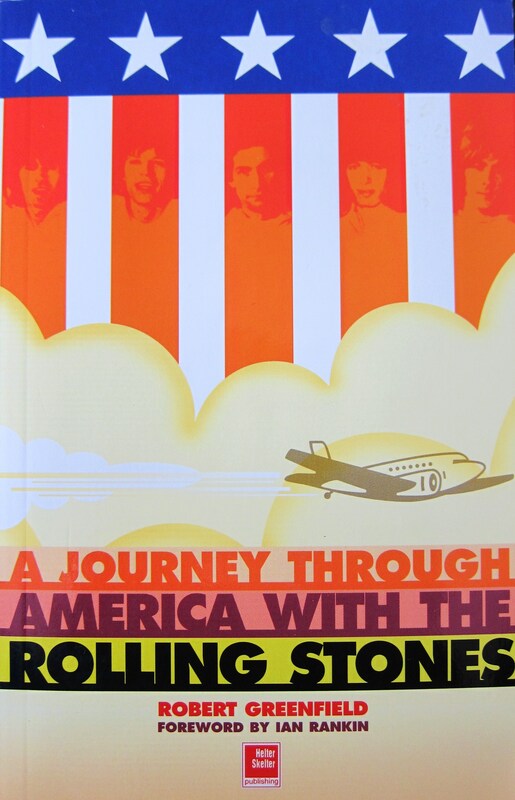 The Rolling Stones on Tour / Tour of the Americas (Genesis Publications): More photos for this most visual of bands. The first book is a collaboration between Christopher Sykes and Annie Liebowitz of the 1975 Tour of The Americas, first published in 1978. The second is Sykes’ photos from this book expanded and published with a tour diary in a Genesis edition. I was fortunate to buy this second hand at a bargain price – its a lovely coffee table style book. 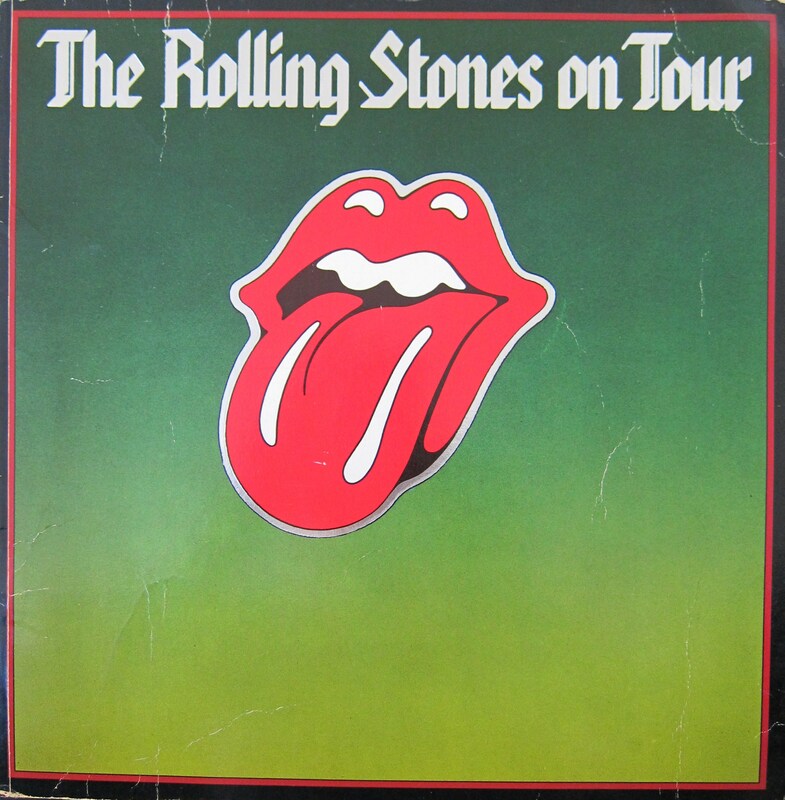 (A live recording of one of these shows has just been released by The Rolling Stones Archive. 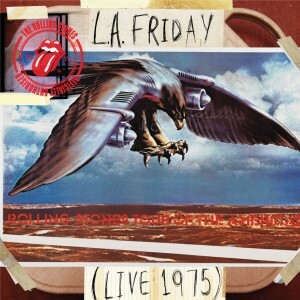 Titled L.A. Friday ’75 the show is third in a series of live recordings The Stones are releasing, including the legendary ’73 Brussels Affair bootleg). Ronnie By Ronnie Wood: Ronnie’s book is a likeable account of his life from gipsy boat dweller to rock star to recovering alcoholic. He concludes that his wife has been a Great Thing in his life. Unfortunately as you may have heard he fell off the wagon and she left him a couple of years after the book was published. Don’t try this at home folks…. According to the Rolling Stones: The Rolling Stones’ answer to The Beatles’ Anthology project – an official history of the band as told through the voices of the main protagonists, including the band. Click this link to read my list of The Top 50 Greatest Music Books of All Time. Thanks for the comments. I just saw Bowie biographer Christopher Sandford has released a new Stones book – I liked the bit where says a stones accountant noted in a court deposition that “Nellcote had cost Richards some £4,000 a week: £500 each on food and drink, £1,200 on rent and £1,800 on cotton candy (or pure Thai heroin).” He adds wryly that “Keith would have no difficulty meeting the French governments requirement that he invest some £30,000 for each year of his residency in their country”! I bought Greenfield’s book based on your recommendation. In the prologue he recalls when Get Off My Cloud came out in 1963. It came out in ’65. A few pages later, he describes the Stones circa ’72 as the only great sixties band still making music with its original lineup. But Brian Jones had died in ’69. I believe Zep and the Who were both intact in 1972, and by many accounts they were both at the top of the heap with the Stones. Added to several glaring factual errors, the book is horribly written. Greenfield is a hot-air bloviator who is in love with his own writing. Sorry about that! I thought the book had a lot of atmosphere and captured the time very well – but I guess like most things it’s all a question of personal taste. Thanks for taking the time out to let me know – hope you’re not too upset my recommendation didn’t work out!